The Murrieta Valley Unified School District takes part in the National School Lunch and Breakfast Programs. Nutritious meals are served every school day. 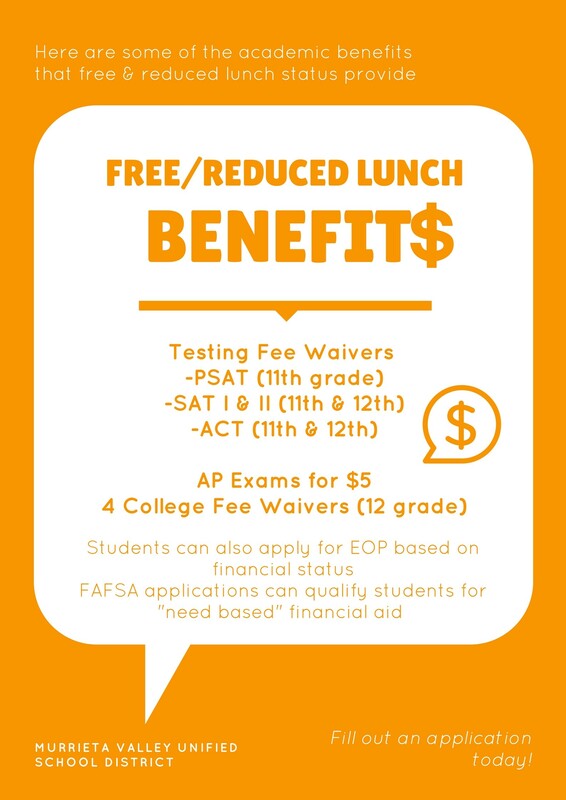 Free and reduced priced meals are available to families who qualify. 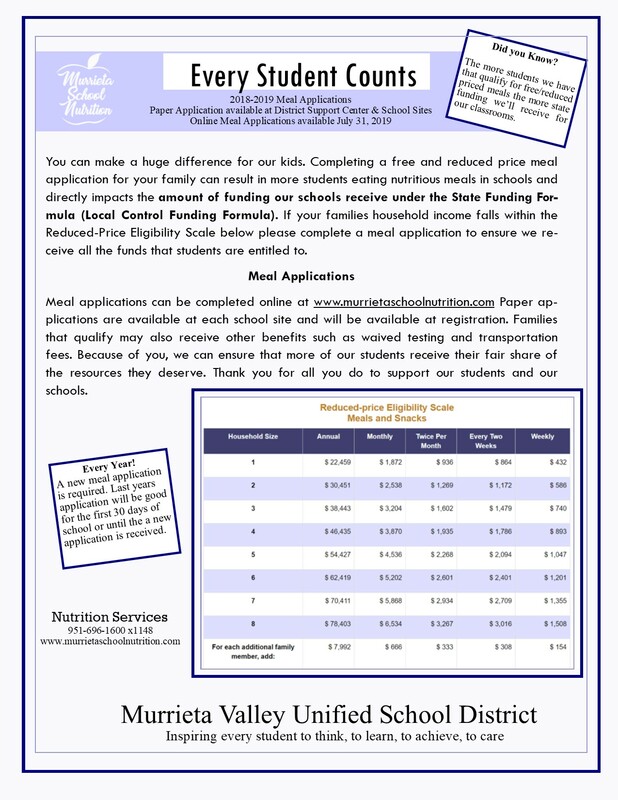 If you feel your family may meet the Income Eligibility Guidelines please complete a meal application. Applications are sent home with each student during the first week of school at the elementary sites and are available during registration at the secondary schools. Applications can also be picked up in the school office or District Support Center. Please complete only one application per household and return the completed application to the Cafeteria. 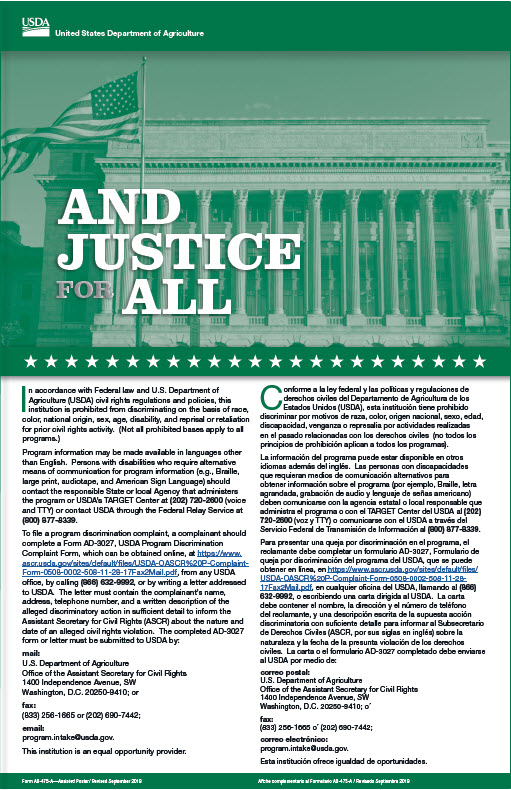 Applicants will receive notice by mail indicating their students' eligibility once the application has been processed. Until you receive notification of eligibility, please continue to send lunch or money to purchase meals with your child. Complete your meal application online today! Factors considered in the application process are household size and total household income. HOUSEHOLD SIZE is considered all persons, related or unrelated: Including parents, children, grandparents who live in your home and share living expenses The TOTAL HOUSEHOLD INCOME is the income each household member received last month before taxes - this includes wages, social security, pension, unemployment, welfare, child support, alimony, and any other cash income.